Where are you in the Ownership Cycle? You’re not enjoying owner lifestyle. You’ve enjoyed being a veterinarian but are thinking of a career change. You no longer want owner responsibilities. Recruitment challenges continue to be a big risk. The practice has grown as much as it can. Revenue growth has leveled off. Cash flow is very tight. Your practice’s value is at its highest – sell at the top! 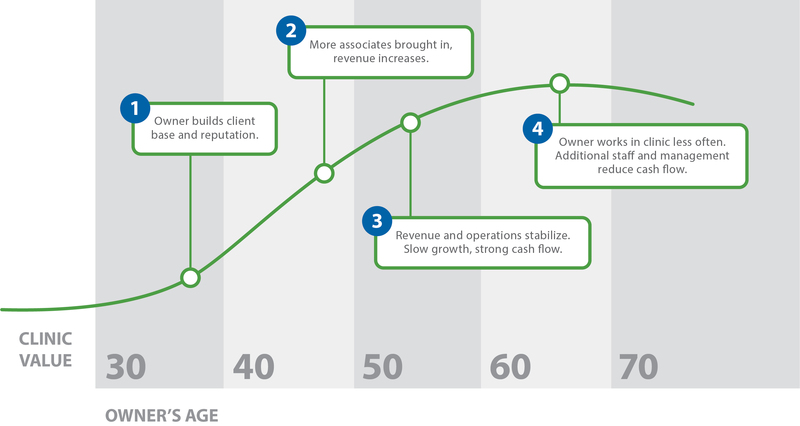 When is the Right Time to Start Succession Planning? The image below will provide some insight.